« Expanding Your Business Or Growing Your Staff? 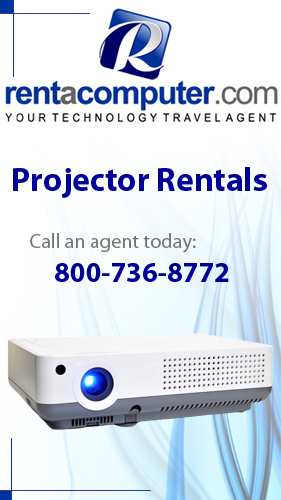 Temporary Office Equipment Rentals Are Key! For anyone who owns a smartphone these days, which includes just about everyone, you’re well aware of the horrors of a cracked screen. That terrifying moment when your phone somehow slips from your grasp and you watch in seemingly slow motion as it hits the concrete. As you go to pick your phone up, you see your screen has now shattered and you just have to deal with it. After all of the hardships that our phone goes through (mainly being dropped too often), Corning’s Gorilla Glass has come through to play the hero for all of our butterfingers’ mishaps. Back in 2007 we saw many of the new smartphones being manufactured with Gorilla Glass. The biggest reason was the promise that the glass would be extremely scratch and break-proof, to the point of complete resistance. As many of us with iPhones know however, that normally isn’t the case. After you pick up your newly shattered smartphone, you may be uttering to yourself, “Why me?…”. Gorilla Glass takes its name from Gorilla Tape and Gorilla Glue. Both of these “Gorilla” products have the reputation of being extremely strong and durable in the categories for which they were created. In order to find out why Gorilla Glass wasn’t keeping up with the expectations attached to the name, Corning did a lot of research and testing. They found that the reasons why there was so much breakage of the screens was from “the result of sharp-particle contact”. Often times, the biggest culprit was, in fact, the concrete on which the phones fell. Corning, after purchasing a number of phones, began to test the Gorilla Glass’s durability on sandpaper which would mirror the same roughness as a freshly paved road. After enough research, the company then stated that the ultimate test would be a face drop onto the sandpaper as it would “have the highest degree of contact with rough particle surface and the highest degree of stress”. Did you know: You can rent smartphones for corporate events? Corning is very aware that the main area of breakage comes from whichever corner or part of the phone lands on the ground. Their answer to this is that essentially the glass’s ability to withstand breakage is only as good as the design of the phone itself. Because of this simple fact, Corning will do their best to work directly with the manufacturers of the phone to appropriately create the best and toughest screen possible. Now Corning has decided to give us Gorilla Glass 4, which is said to survive a 1 meter face drop upon concrete 80% of the time. One meter is used as the average falling point for most phones today. 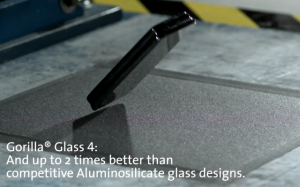 The way that the company was able to achieve this level of durability is directly related to the chemical process and formulation of the glass. While the overall trademark fusion draw process remains the same, the subtle differences in the chemicals make it much tougher to break. The days of a shatter-proof phone have not yet come to us, but if development like this continues, who knows what the future could hold. We just might see shatter-proof phones and other smart devices before we know it.